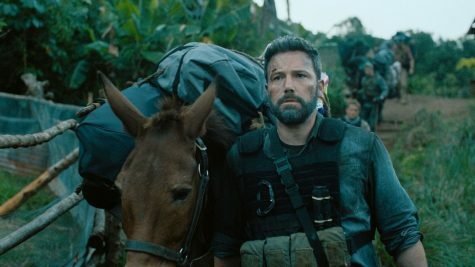 Over the past several decades, the Super Bowl has become more than just a game: it involves fancy halftime shows featuring popular stars, unique and funny commercials that you actually want to watch, and lots of American snacks. Step up your game of store-bought chips and dip with these three unique, fancy, and game-changing dishes. 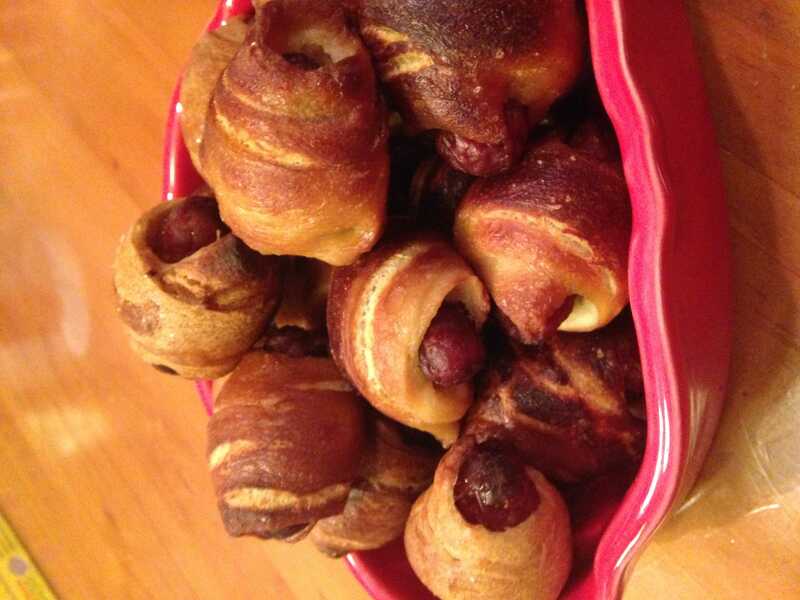 Pigs in a blanket and pretzels are two classic super-bowl foods, so when you combine the two, it’s pure heaven for your tastebuds. Preheat oven to 375℉ and lightly grease a 9 inch pie plate. Place in the oven for 20 minutes, or until cheese is melted and lightly bubbling. 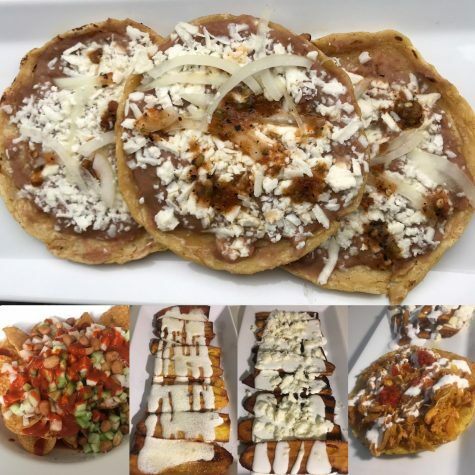 Serve with dipping item and indulge! All the classic pizza flavors, but in a special, sharable dip form. 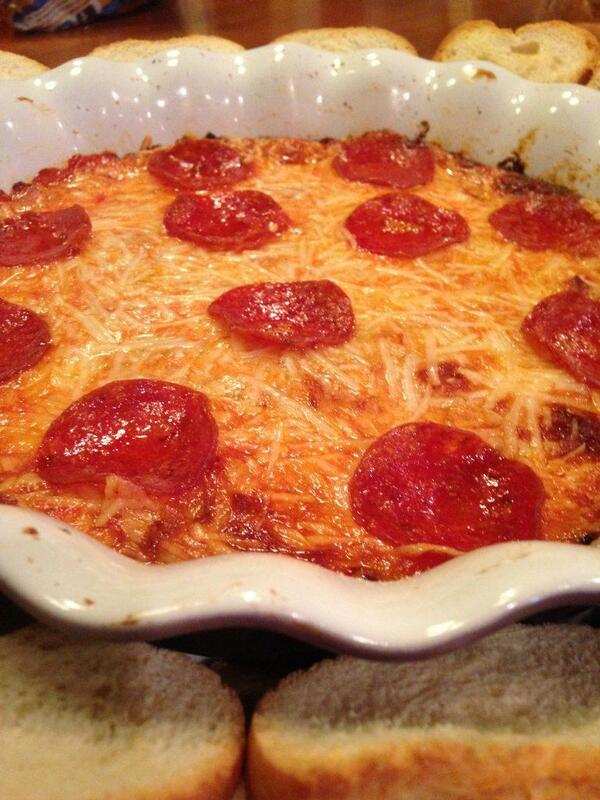 This pizza dip is cheesy, gooey, and definitely a crowd pleaser. Using an electric or hand mixer, combine egg whites and water on a high speed until soft peaks form: about 2-3 minutes. Crumple a long sheet of tinfoil and form a slightly smaller bowl. Grease outside of tinfoil and press this bowl into center of snack mixture. 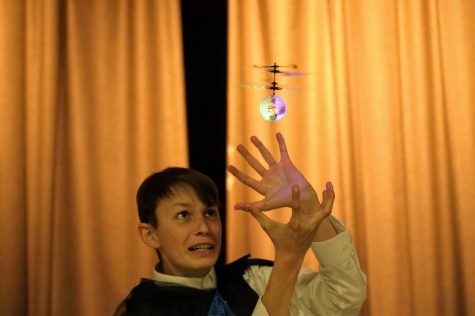 Press down and against the sides of the tinfoil, shaping your snack mix into ideal shape. 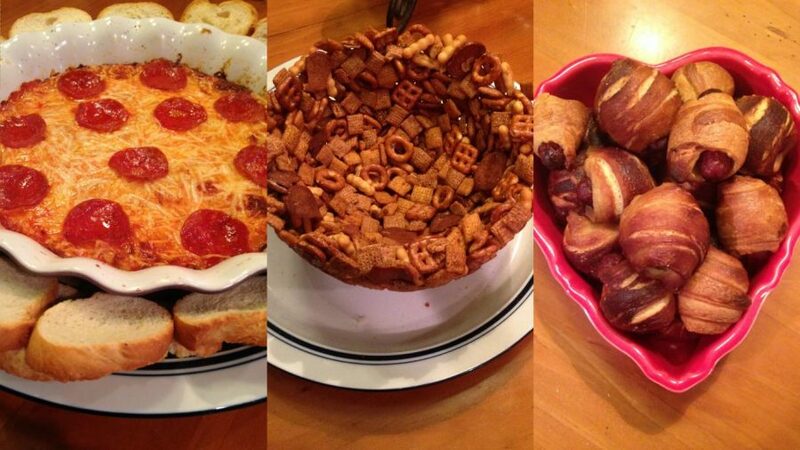 Place large bowl full of snack mix and tinfoil into oven and bake for 30 minutes. Allow to cool for another 30 minutes, then invert snack bowl onto plate, allowing to cool completely. 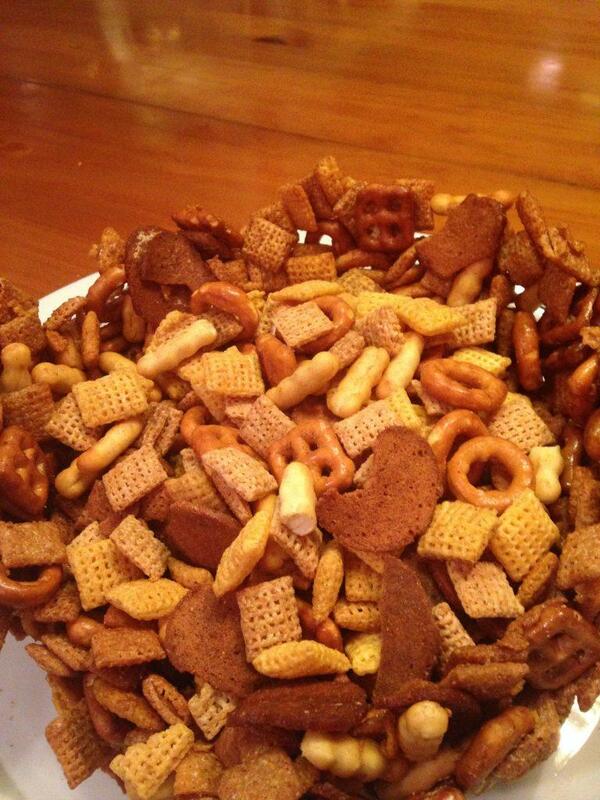 Fill snack bowl with whatever you would like and enjoy your edible masterpiece! These epic super-bowl snack are sure to be a real game-changer, impressing guests while satisfying your tastebuds. 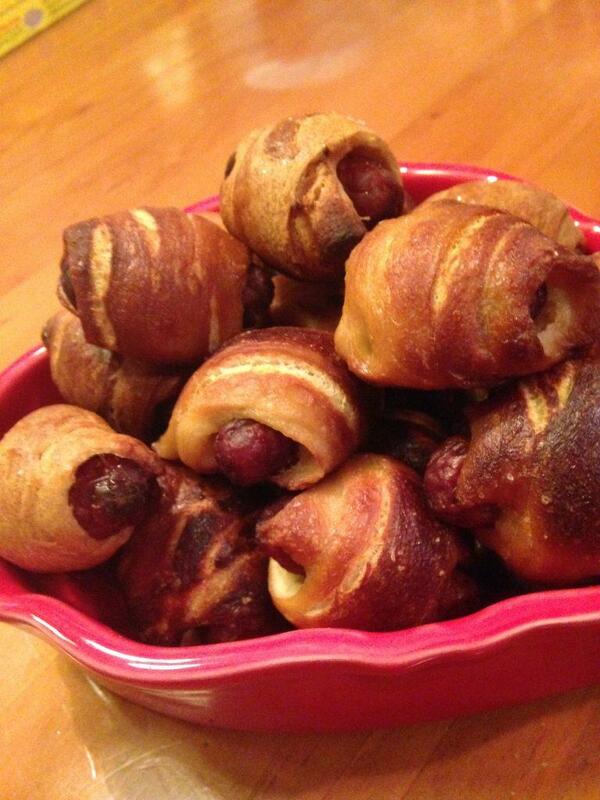 The pretzel blankets look delicious!